Patent Technology: The porous endless belt is running actively from transition gear to the front roller with the characteristic of smooth running , constant and accurate speed. The transition gear is made of abrasion-resistant material to realize silent running and single-spindle porous endless belt is tensioned automatically by the spring to guarantee stable operation. The pressurized device of matched compact leather roller can control actively the fiber in free area and the special structure design can guarantee invariable pressure on both sides so that the yarn quality is free of diameter change of the leather roller. This is suitable for any draft cradle. Special safe and dustproof design reduces maintenance workload and six or four integrated modular architecture design makes accessibility very convenient and can be assembled without tools or decomposition. Meantime, it is very easy to maintain so that downtime can be reduced. Compact pressurized pipeline can be drawn into shape in one time and a special surface treatment guarantees extremely low friction coefficient and high wear resistance characteristics. Different shapes suit different suction slot fiber spinning. The porous endless belts are made of special fiber and have the characteristics after special treatment later: no joints, smooth, wear-resistant and anti-static surface, evenness and stability. Introducing advanced cutting technology to ensure stable and consistent size, smooth running and avoid deformation. Simple system structure can reduce effectively the refit difficulty and refit workload as well as the cost of operation and maintenance. 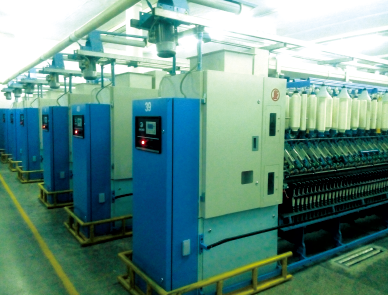 Humanized design allows easy refit and is suitable for any types of ordinary ring Spinning Machine. Looking for ideal Compact Spinning Kit Manufacturer & supplier ? We have a wide selection at great prices to help you get creative. All the Compact for Ring Frame are quality guaranteed. We are China Origin Factory of Compact Spinning Conversion. If you have any question, please feel free to contact us.